If there’s something romantic brewing in your neighbourhood, who you gonna call? Arijit Singh! The 31-year-old singer shot up the ranks with such ballads as Raabta (Agent Vinod, 2012) and tearjerkers as Duaa (Shanghai, 2012). After the success of Tum Hi Ho (Aashiqui 2, 2013), Singh became the go-to playback singer for all things heart. Some of Malik’s popular hits are Tumhe Apna Banane Ka (Hate Story 3, 2014), Main Rahoon Ya Na Rahoon (non-film, 2015), Bol Do Na Zara (Azhar, 2015), Buddhu Sa Mann (Kapoor & Sons, 2016), and Ghar Se Nikalte Hi (non-film, 2018). Malik has also developed a healthy playback singing career in the South film industries. Additionally, today’s romantic ballads, with exceptions such as Binte Dil (Padmaavat, 2018), sound similar and feature a male voice evoking pain-tinged longing, unlike the honeyed crooning of Sonu Nigam in the 1990s or the full-throated singing of KK in the 2000s. Since then, Mukherjee has written and composed a number of romantic hits, which include Tere Sang Yaara (Rustom, 2016) and O Saathi (Baaghi 2, 2017), both sung by Atif Aslam. As a singer for his own compositions, his highest point after Saathi Rey was Nazm Nazm from Bareilly Ki Barfi (2018). Ask unsuspecting listeners to identify the singer, and if they don’t say Arijit Singh, write to us. Nazm Nazm, Bareilly Ki Barfi (2018). Perhaps, Tiwari can sound different, but unlike Singh, he never got a chance to break free of the singing (and composing) style that made him a star in the first place. Tu Hai Ki Nahi, Roy (2015). Beh Chala, Uri: The Surgical Strike. 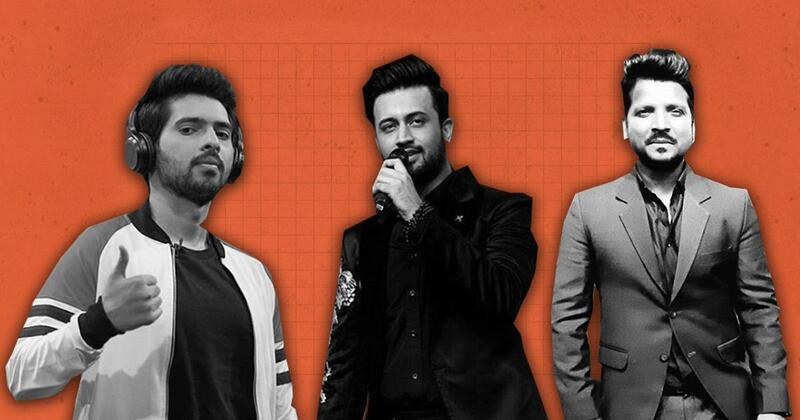 As far as unconventional voices for romantic songs are concerned, Pakistani singers Atif Aslam and Rahat Fateh Ali Khan have been the alternatives to most of their Indian contemporaries for two decades. Aslam has been around in Bollywood since 2005’s Woh Lamhe (Zeher). Don’t forget, it was he, and not Singh, who sang 2017’s ultimate romantic number, Dil Diya Gallan (Tiger Zinda Hai). Dil Diya Gallan, Tiger Zinda Hai (2017). Moh Moh Ke Dhaage, Dum Laga Ke Haisha (2015). Ikk Kudi, Udta Punjab (2016). Dil Gira Dafatan, Delhi-6 (2009).